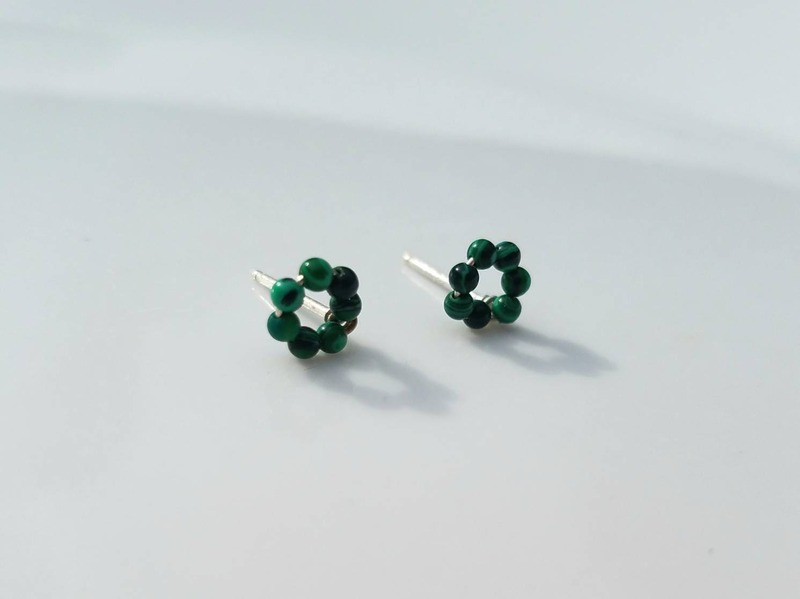 Malachite is a stone of balance, abundance, manifestation and intention. 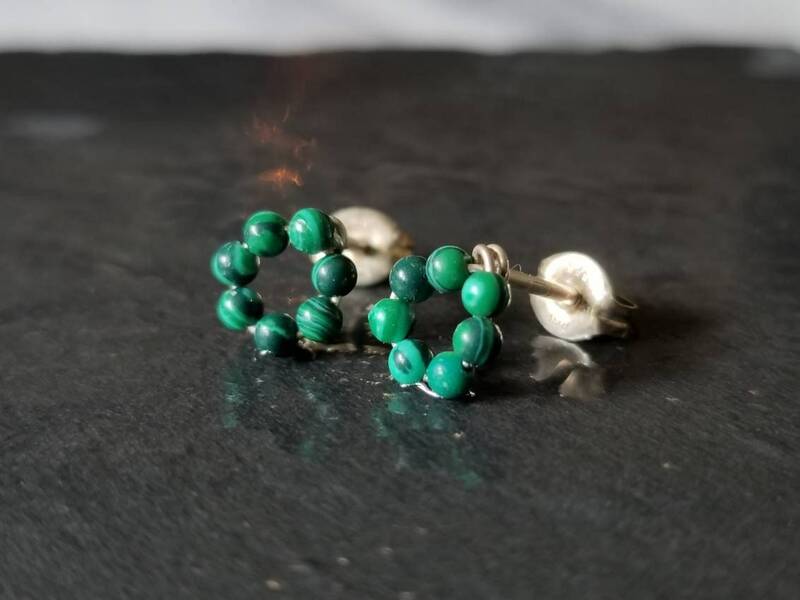 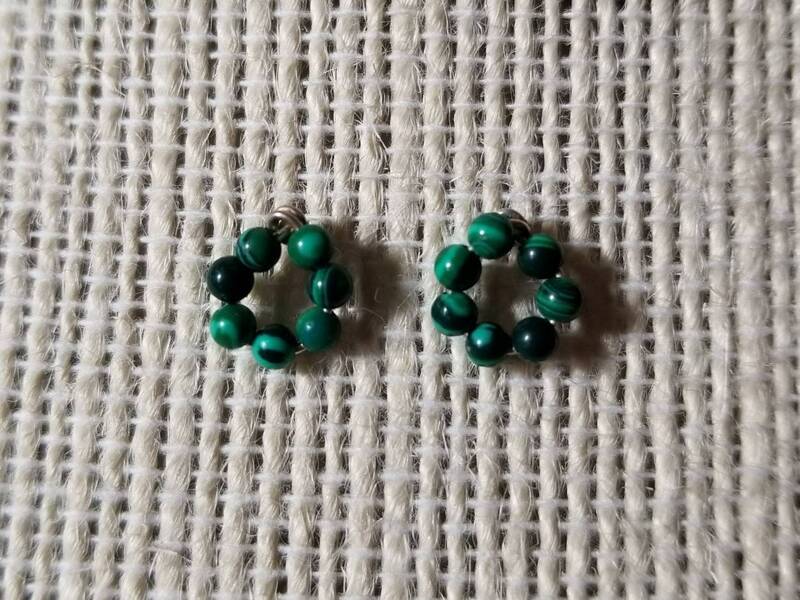 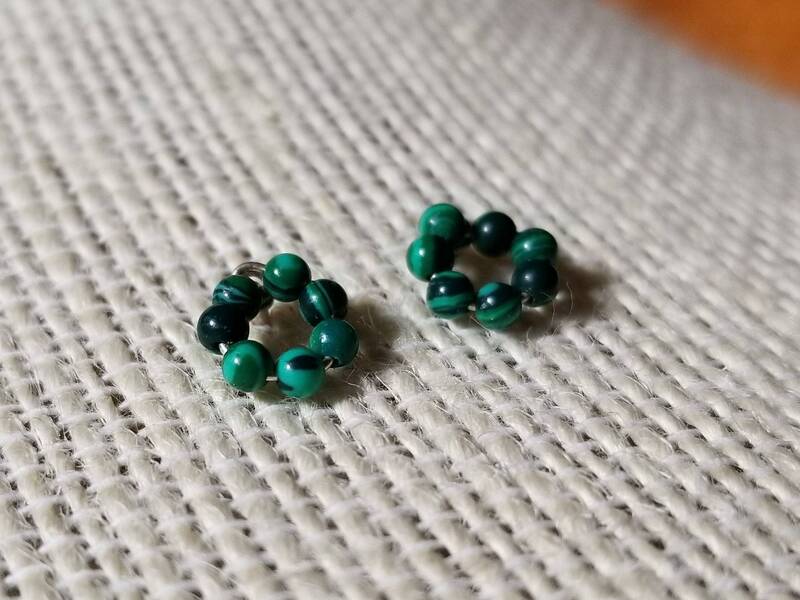 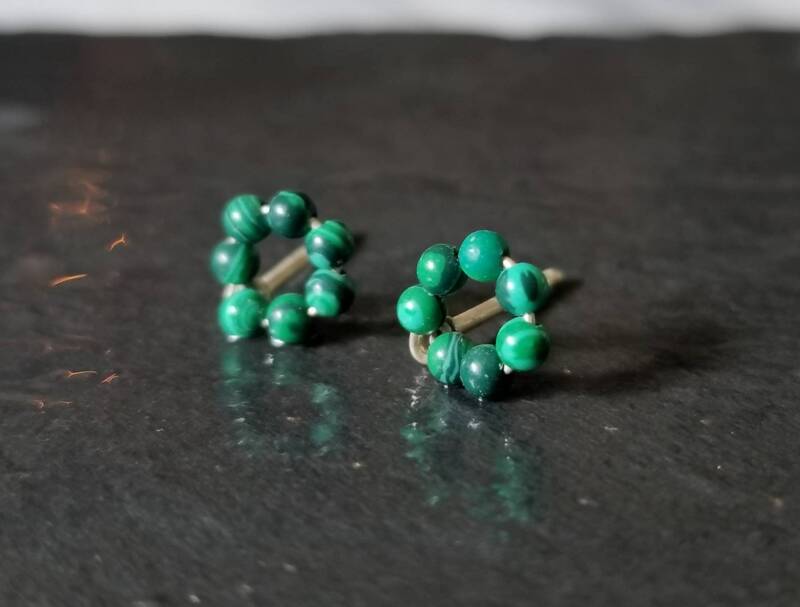 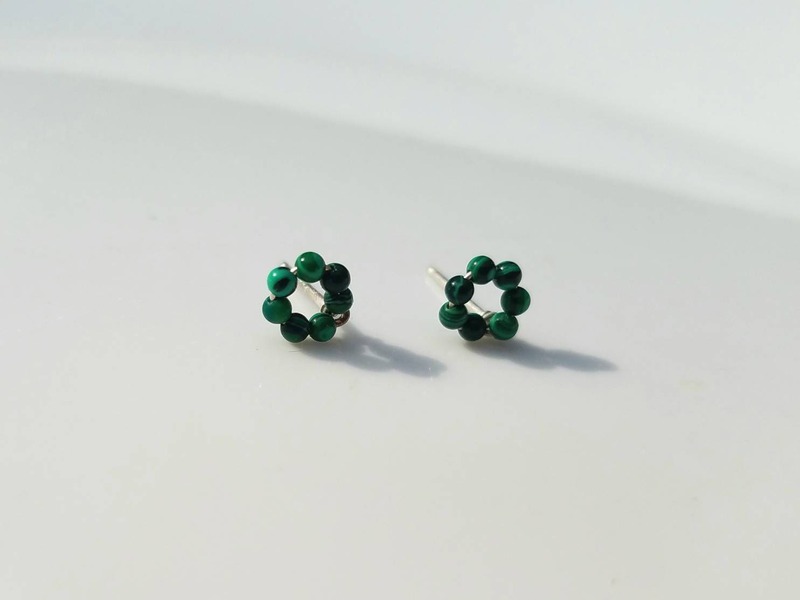 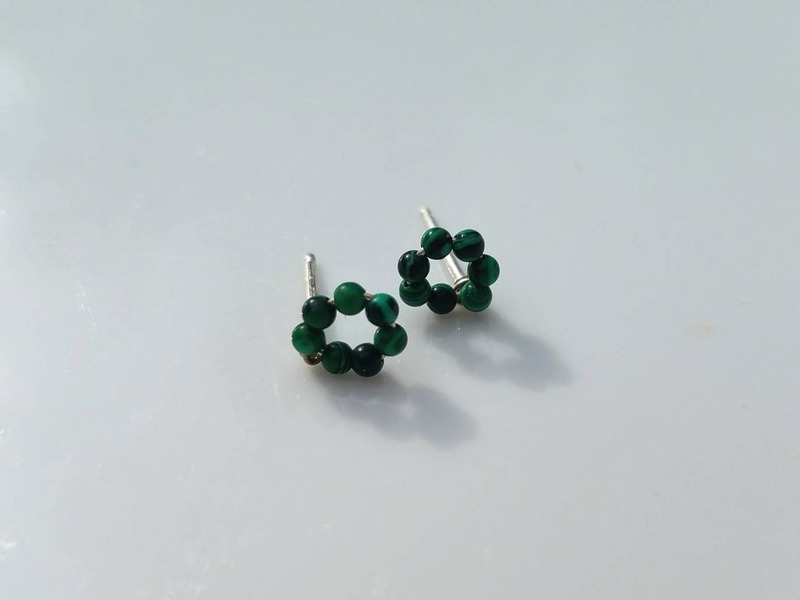 I created these dainty earrings out of tiny malachite beads strung on sterling silver wire. 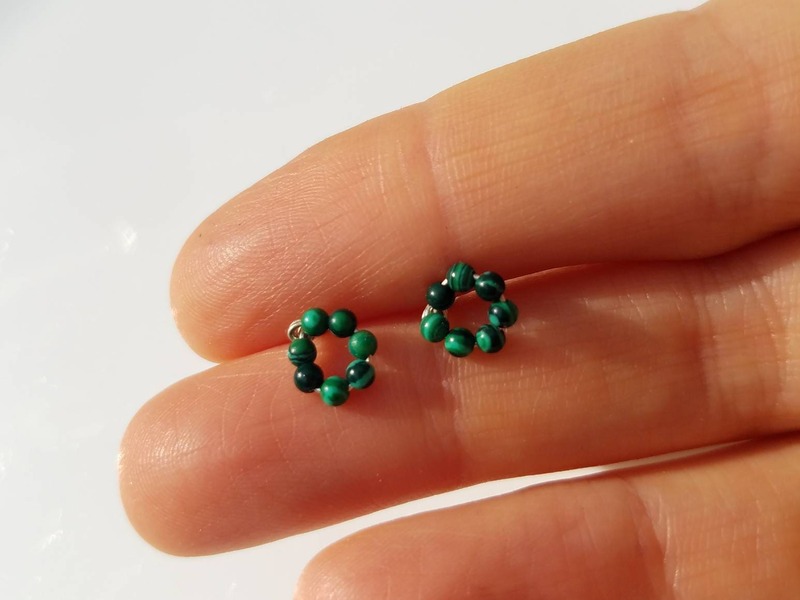 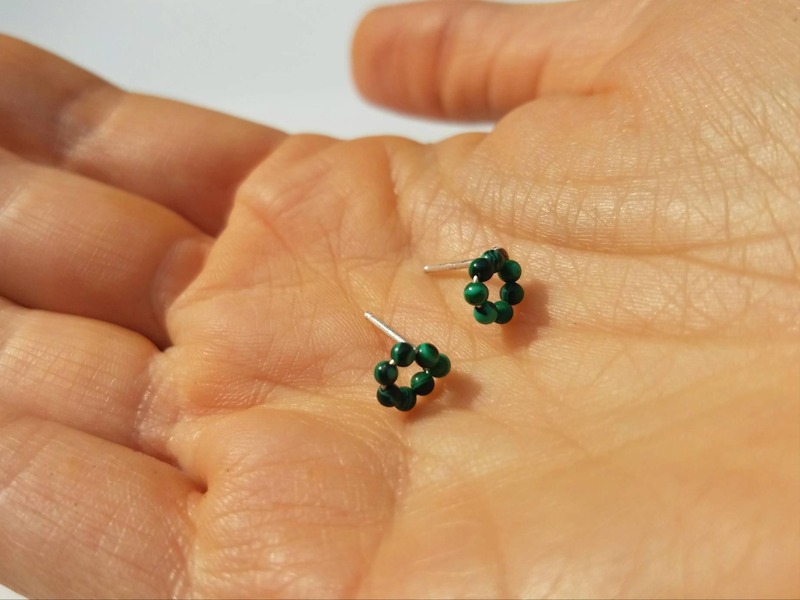 Each earring is made of seven unique beads just over 2mm in diameter, each earring is approximately 8mm. 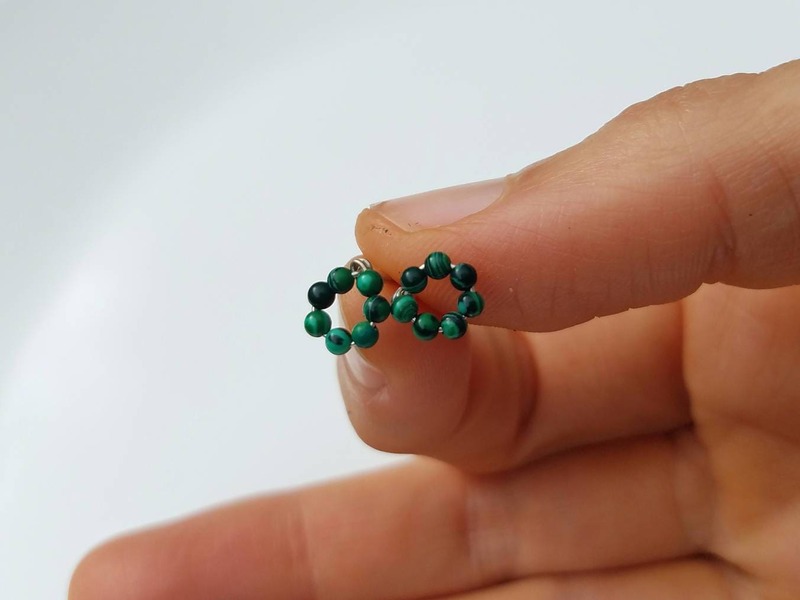 The posts and backs are made out of sterling silver.